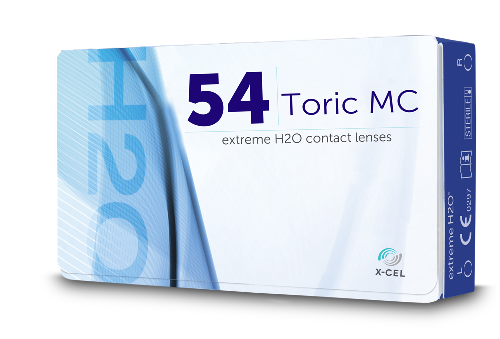 extreme®H2O 54% Toricfor Astigmatism, lens of choice for any patient wishing to improve the end of day comfort. Our lenses have unique water binding properties allowing them to retain virtually all water content through the entire wearing period. H2O lenses are a great upgrade for patients who may still be wearing traditional disposable lenses, or have failed in silicone hydrogels.